Riverview Cemetery is a well-maintained non-sectarian cemetery established in 1875 by the Riverview Cemetery Association. 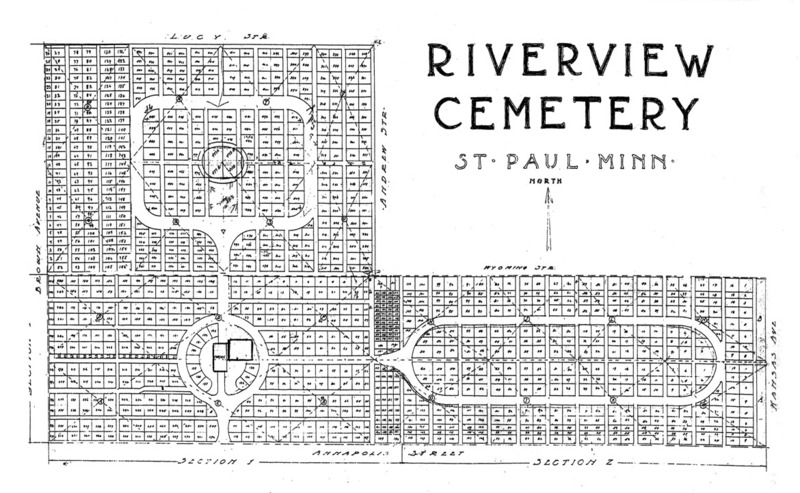 This quaint cemetery occupies one of the most picturesque locations in the Twin Cities, high atop the wooded river bluffs that fall away toward South St. Paul. It also includes a small chapel that was built in 1893, which now serves as the cemetery office. Riverview is located on ten diverse acres with upright monuments and grave markers, and now includes columbariums that are designed to meet the expectations of the growing number of families choosing cremation. Riverview Cemetery’s superintendent gives his personal attention to your needs and affairs concerning the cemetery. Information regarding purchasing a grave or current interment fees can be found on this site. Price information on upright monuments and grave markers is available at the cemetery office or by calling (651) 457-1109. Riverview also offers pre-need planning, ensuring you the type of burial you desire, and easing the number of decisions your family must make at the time of bereavement. 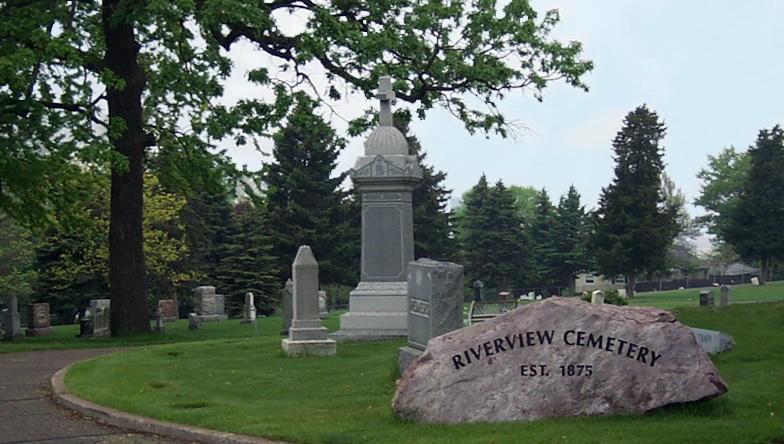 The Riverview Board of Directors controls the operations of the cemetery and is elected by the Crown of Life Evangelical Lutheran Congregation. Any questions or concerns regarding the maintenance of the cemetery that cannot be directly addressed by the superintendent will be presented to the cemetery board for discussion or action.